Multilayer coatings, which provide higher light transmittance across the entire visible light spectrum, are applied to the lens and prism surfaces that transmit light. This minimizes the loss of light due to reflection, thereby ensuring a more natural, clearer view. 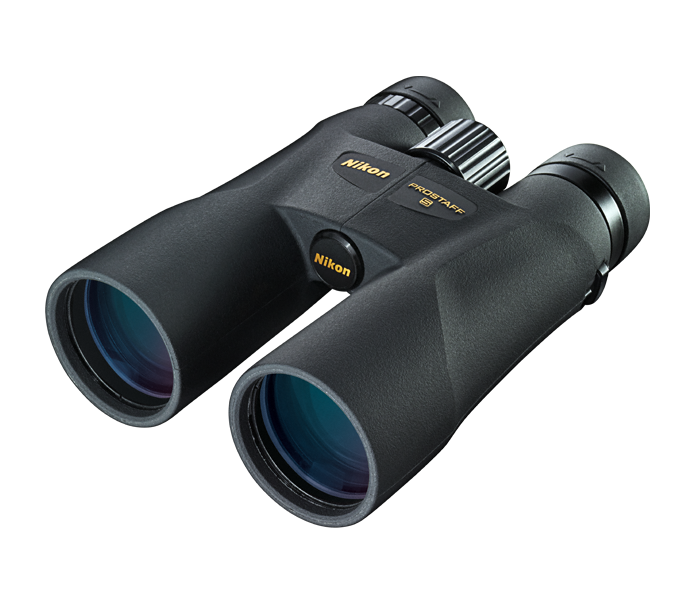 Nikon has manufactured the PROSTAFF 5 binoculars, as well as many other of its optics, with a high-eyepoint design. This provides a clear field of view for everyone, even when the user is wearing eyeglasses, with sufficient space between the user’s eye and the eyepiece lens. The turn-and-slide multi-click rubber eyecups allow users to adjust the eye-relief for a custom fit - providing a full field of view and maximum comfort during extended periods of use. This intuitive design allows fast, detailed focus on subjects close-in or at a distance. PROSTAFF 5 binoculars are Nitrogen filled and O-Ring sealed for complete waterproof and fogproof performance.